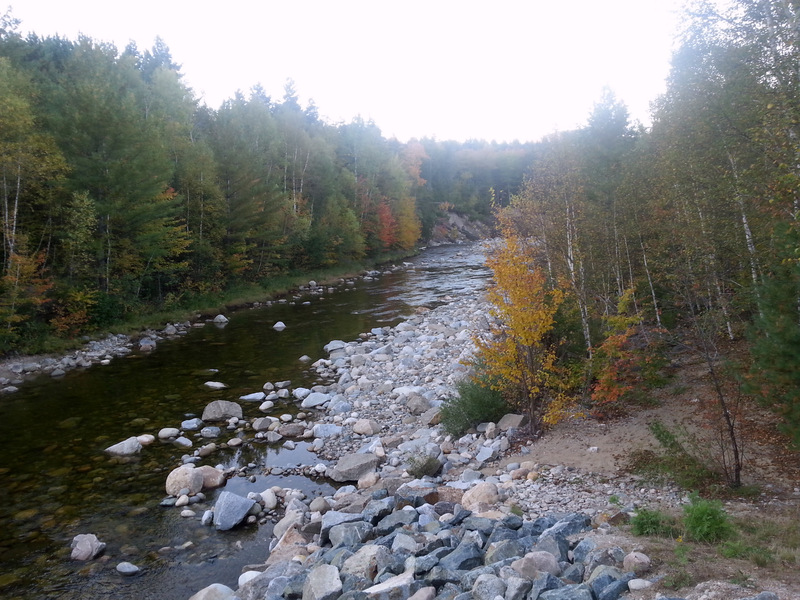 Dolly Copp Campground in the White Mountain National Forest is amazing. 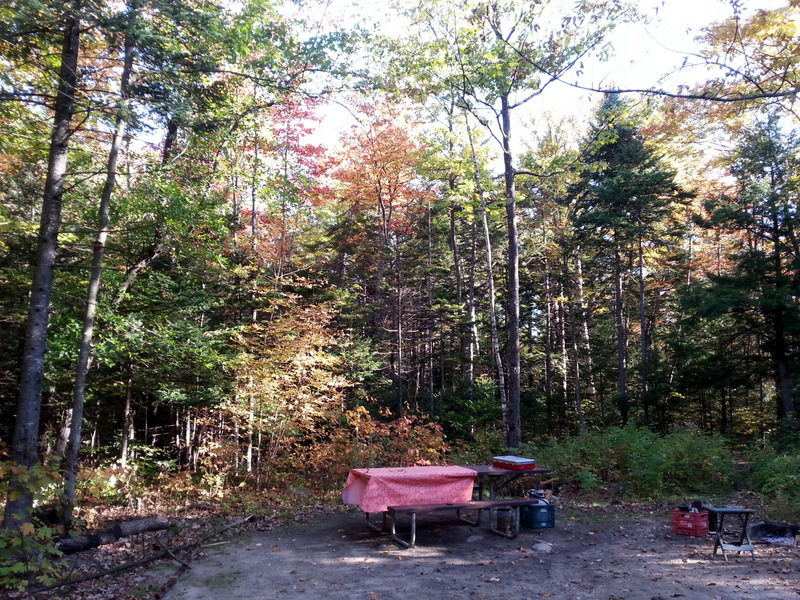 We have an enormous campsite – even if anyone were camped on either side, we wouldn’t see them. Fact is, the campground is nearly empty – not 10% of the sites are occupied, and it’s perfect weather. Lucky for us! Perhaps the fact that there are flush toilets, but no showers or hot water in the campground deters others. Their loss. 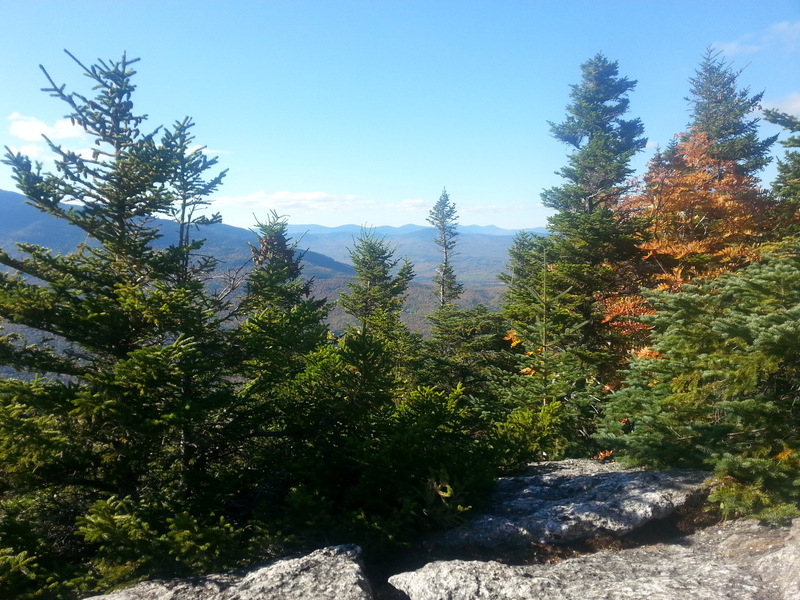 We decided to hike the Imp – a rocky protrusion half-way up a mountain. Unfortunately, we didn’t quite understand where the trailhead was, so we had already gone about 2 miles before we started our climb. It was difficult – mostly rocky surface with many water crossings. Jezzy was a champ, but she did balk a few times (that girl does NOT like to get her feet wet!). We struggled to the top, 4.1 miles from the bottom. 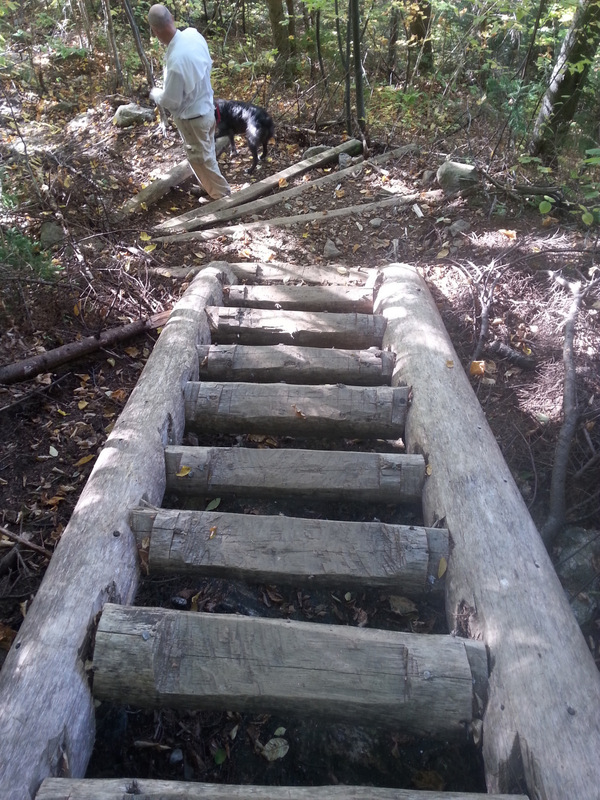 Sandwiches appeared in our pack, and we recuperated, while worrying over the daylight left vs the distance we had to descend (2.2 miles) Neither Jezzy nor I was too happy with this little ladder in the descent. All in all, it was a fantastic day, but we did hike 10 miles. About four miles uphill, two miles downhill, and four flat miles. We were so happy to get back to camp! Totally worth all the effort though, even the spill I took on a very slippery rock. John always says to me, “you’ve got to trust your boots.” I did, and they let me down. My arm is nicely banged up, but it’s a pretty small price to pay for such a vista. Monday was our last day in New Hampshire. 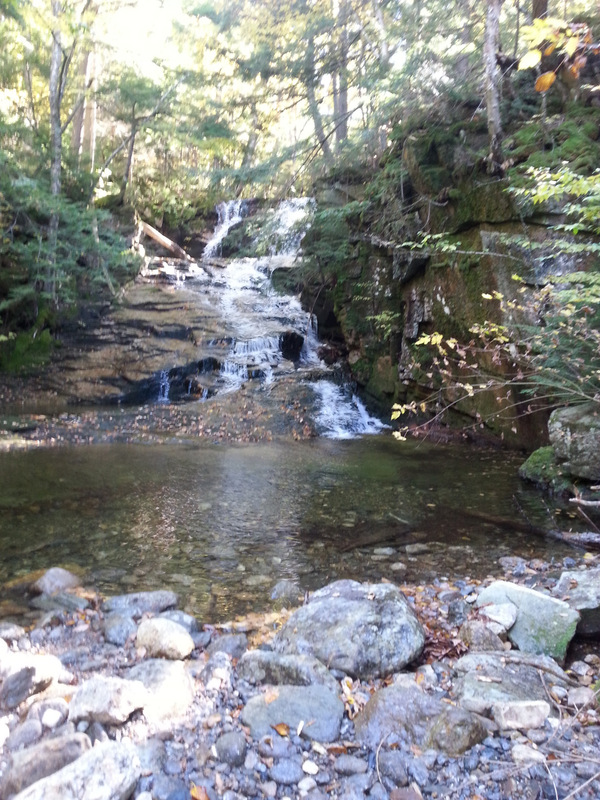 We decided to do a 15 mile gravel road bike ride to a trailhead where we could hike to three waterfalls. 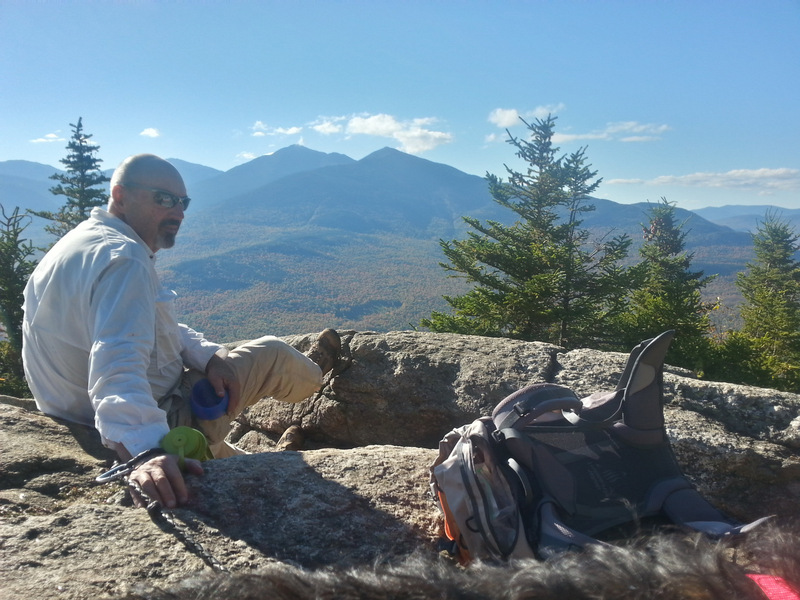 A good choice – great ride, and wonderful two-mile hike. 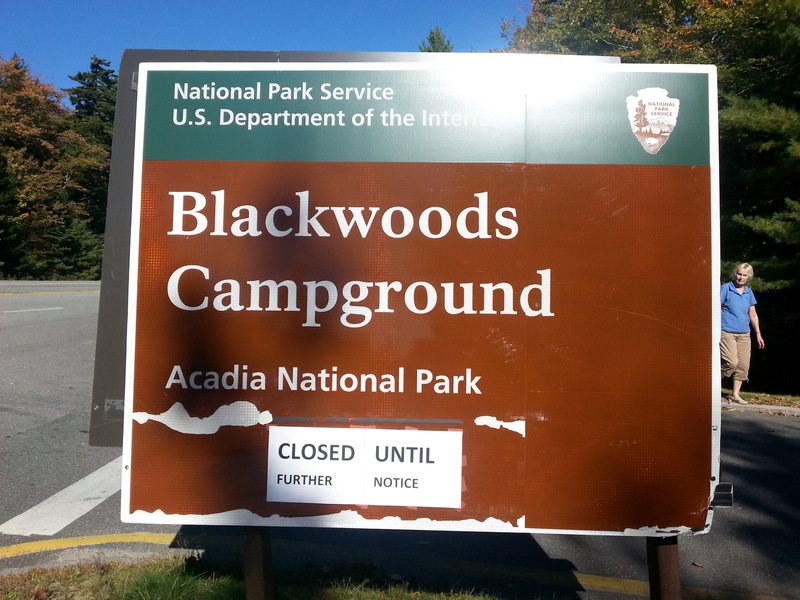 Now we’re in Maine – camping reservations in Acadia, but it’s closed. 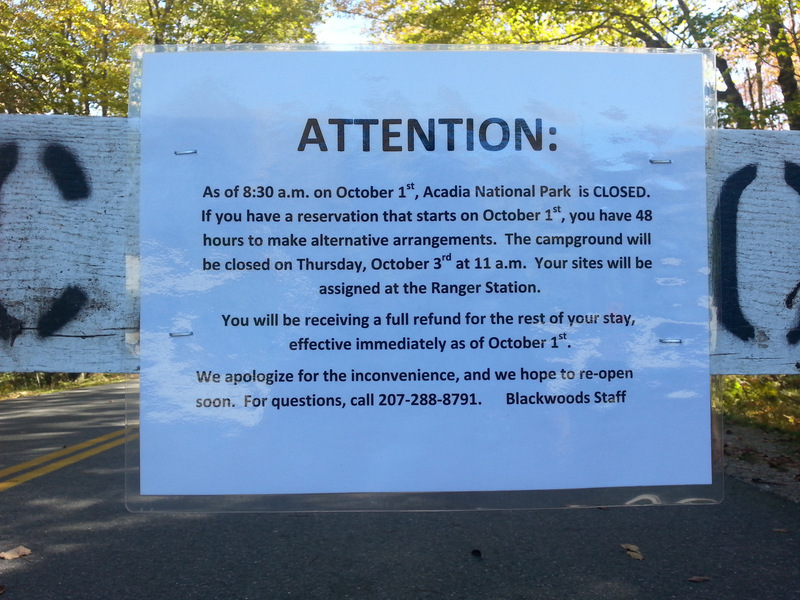 We can stay in our campsite for two days while we make other plans, but the Park is not accessible to us at all. We’re pretty bummed out. Think we’re going to hang around Bar Harbor for a day, then move north toward Canada for the next several days. Hopefully, Congress will remove their collective heads from their butts and resolve their budget impasse, but we’re not hopeful that Acadia will be open while we’re still here. So, all in all. Not too much to say. Everything is beautiful here. Enjoy the photos. 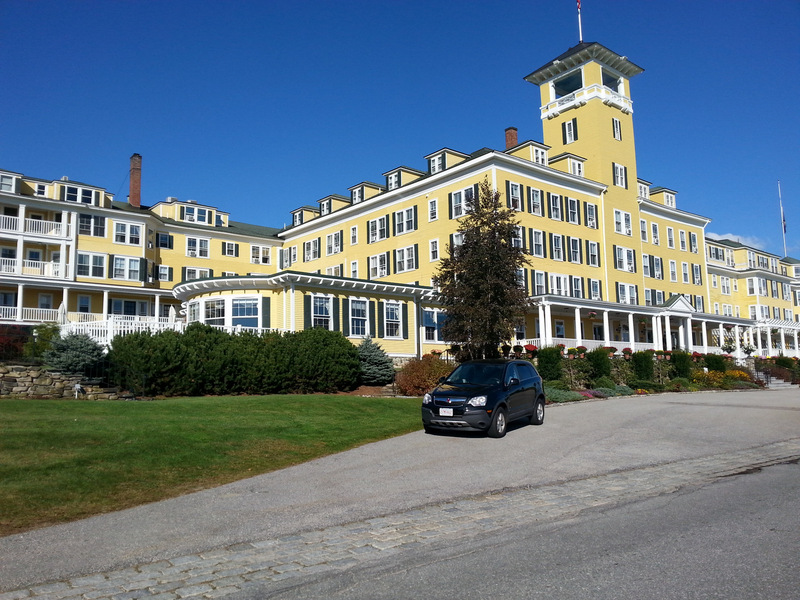 We passed this grand old hotel on the way to Dolly Copp. It was enormous. 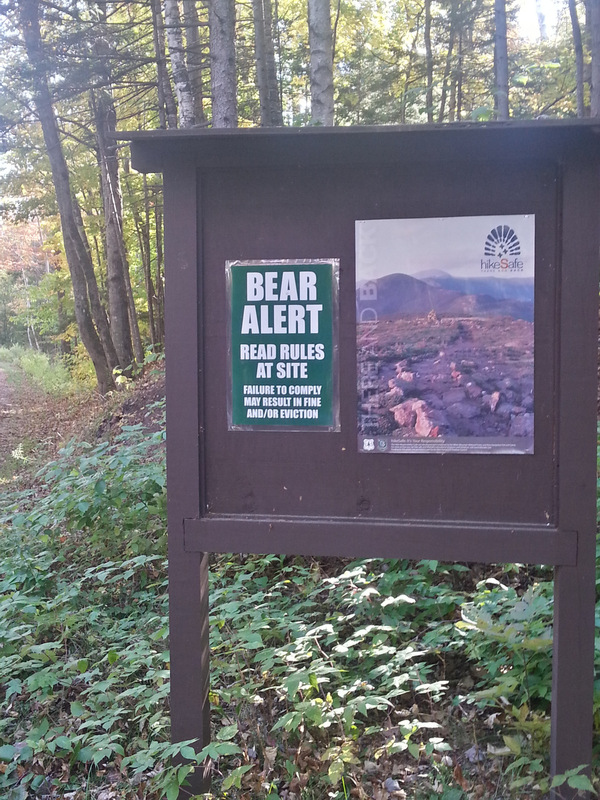 This entry was posted in camping, cycling, great outdoors, hiking, Maine, New Hampshire, retirement, simple camping and tagged hiking, n, national parks, New Hampshire, retirement, road trip, RV life, simple camping, the great outdoors, Vermont by Judy Crankshaw. Bookmark the permalink. It’s a shame that your trip is being disrupted by the parks being closed. What a gorgeous campground and hiking–and biking trails! But I can picture poor Jezzie confronting those steps! We, along with thousands of others, are bummed about the closures, too. Everything from Yellowstone to the Grand Canyon is closed. As are the wildlife refuges. The state parks are still open and I hope you can still find beautiful places to stay and that it doesn’t impact your plans too badly. Is that huge hotel still operational? It sure is impressive. Judy, if you have internet service check out mlive where they have a story of a truck hitting Katie and Ed’s house. Big mess!